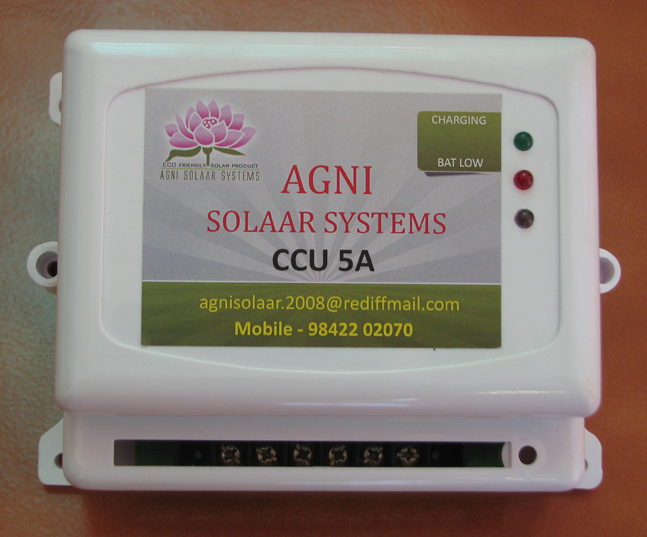 Agni Solaar LED street lights are offered with an electronic controller that automatically turns the light on and off and solar blinker lights, solar lighting systems led (domestic), charge controllers, road studs, solar power plant. Model 200mm Dia, 300mm Dia. Integrated design for maximum energy efficiency. Operation 12hours (automatic Dusk to dawn operation) and 24hours. 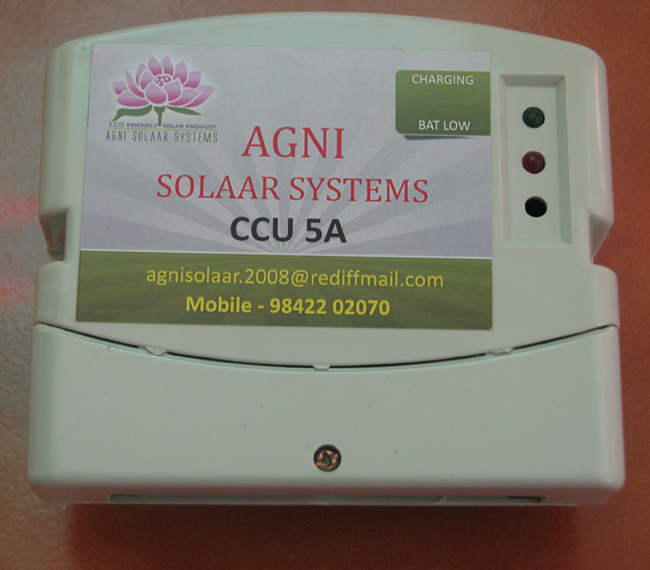 Solar Charge Controller for System Protection. Anti theft protection for battery. 12 hours/24 hours flashing beacon systems. School Zone flashing beacon systems. Revolutionary home lighting solutions based on LED Technology that Consumes 50% lesser energy and lasts longer.Despite energy consumption being closed to 50% lesser than CFL the light output is very bright.The LEDs have a very long life. Model 12v - 5A to 40A Auto ( Automatic Dusk to Dawn operation ) / manual. Battery over charge disconnect from Solar Photovoltaic Module. Solar Charge Contollers for output systems, battery protections.